We hear you. Your office mates are so happy and chipper and genuinely ecstatic for each and every day, and you’re just not on that level. It makes sense. You’re more reserved, straight-forward, and not afraid to give some tough love to the people around you. It’s not that you can’t smile and enjoy your time with your coworkers every once in a while, it’s just that you really don't want to. You value “me” time. 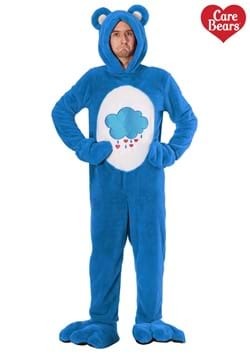 In that case, we have something for you: this awesomely gloomy Care Bears Adult Classic Grumpy Bear Costume. It’s a perfect match for the kind of guy you are. 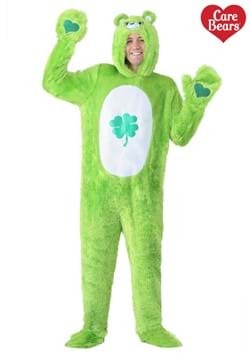 This outfit says that yes, you enjoy your friends and coworkers and value their seemingly endless joy and energy, while also emphasizing that there is a limit to that enjoyment. That's real. You like to build things and fix things and stay mostly irritable, and it’s a perfect foil to those lovely people around you. 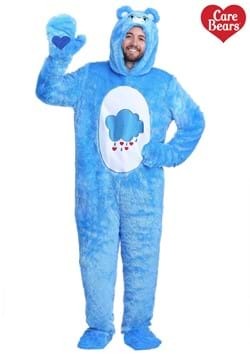 It’s important to celebrate who you are—so throw on this costume and feel right at home in it it's blue hue! How's this for idea? 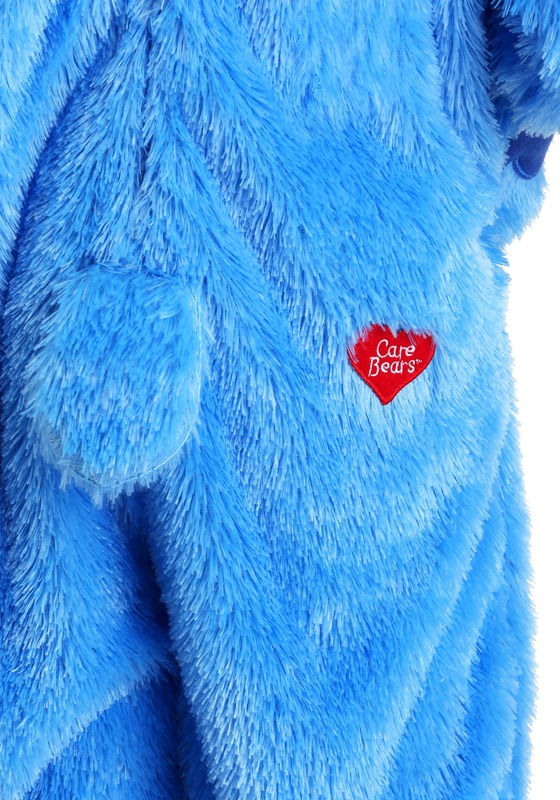 The faux fur jumpsuit is secured with a back zipper and comes with attached mitts decorated with appliqued hearts on the palm, in classic Care Bear styling. The hood has an embroidered face with attached ears and a 3D nose. 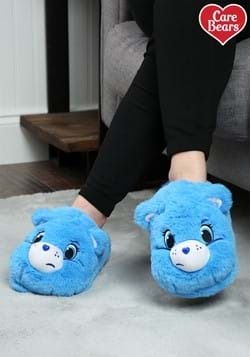 And finally, included are matching shoe covers with a soft knit ankle. We don't even think you will be able to find anything wrong with it. 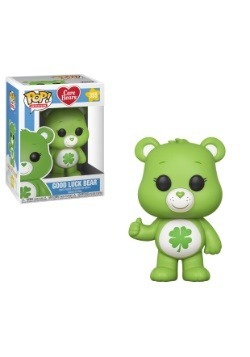 From head to toe you’ll be perfectly embodying the least cheerful of the Care Bears, letting everyone around you know, that yes, you are probably more interested in being alone right now, but that you’re reluctantly happy to talk...for a minute. Two, tops. 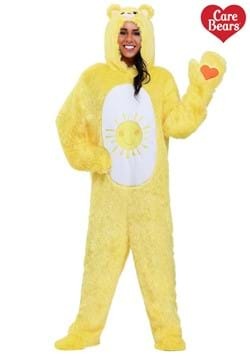 We’re certainly not saying to wear this costume so you can be a curmudgeon all the time. No, no. 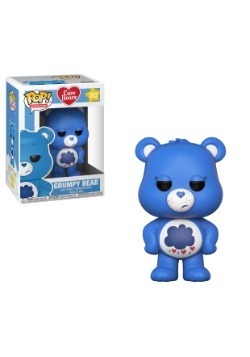 Even the Grumpy Care Bear himself has happy and joyful moments—his friends love him for a reason. What we’re saying is to take pride in the fact that you’re a little different from your pals. You enjoy different things in life, and it takes a little longer to get to that shining core inside of you. But once you open up, it’s a wonderful thing. But not too wonderful. That would be awful.